Something is sure to be launched by Christmas 2010, but for now The HTC EVO 4G/3G Mobile Phone Rules the kingdom The phone will be able to do so much, including being a Wireless WiFi HotSpot for up to 8 Mobile Devices. The world’s first 3G/4G Android handset, exclusively from Sprint, HTC EVO™ 4G, offers a rich mobile Internet experience with a fully integrated suite of services built on the Android TM 2.1 platform. 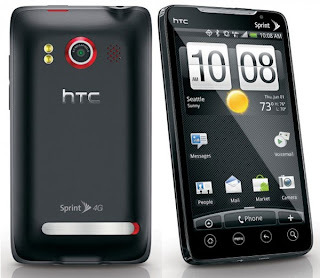 HTC EVO 4G includes a blazing-fast 1GHz Qualcomm® Snapdragon™ processor, the award-winning HTC SenseTM user experience, an 8.0 megapixel auto-focus camera with HD-capable video camcorder and a forward-facing 1.3 megapixel camera. The large vibrant 4.3 inch display, built-in kickstand, 3.5 mm headset jack and HDMI output make HTC EVO 4G an unparalleled platform for wireless entertainment. 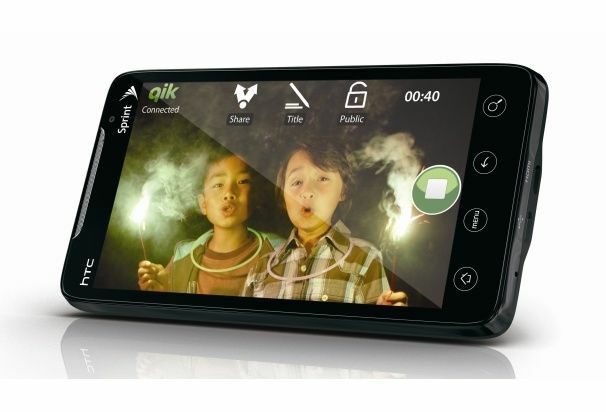 Download music, pictures, files, or videos in seconds – not minutes – and watch streaming video on the go on a network with download speeds that are up to 10 times faster than 3G speeds.1 With built-in mobile hotspot functionality, HTC EVO 4G also allows up to eight Wi-Fi-enabled devices, including laptop, camera, music player, video player and any other Wi-Fi-enabled device, to enjoy the benefits of 4G speeds on the go. PRODUCTIVITY 3G/4G capability Qualcomm® Snapdragon™ QSD8650 (1GHz) processor 4.3” capacitive display with pinch-to-zoom and tactile feedback World-class HTML browser – bandwidth and quality that rival that of netbooks Android 2.1, with access to more than 30,000 apps on Android Market GoogleTM mobile services including Google SearchTM, Google MapsTM, Google TalkTM, GmailTM, YouTubeTM , and syncs with Google CalendarTM Access to Google Goggles™ to search with pictures instead of words Sprint Navigation, with turn-by-turn driving directions and 3D maps Updated HTC Sense, award-winning user experience, which includesFriend Stream to integrate Facebook, Twitter and more into a single flow of updates Visual voicemail Messaging – personal and business email, IM and text messaging 3G/4G Mobile Hotspot capability – connects up to eight Wi-Fi enabled devices 4G data speeds (WiMAX) – peak download speeds of more than 10 Mbps; peak upload speeds of 1 Mbps; average download speeds of 3-6 Mbps. 3G data speeds (EVDO Rev A.) – peak download speeds of up to 3.1 Mbps; peak upload speeds of 1.8 Mbps; average download speeds of 600 kbps-1.4 Mbps.